Edwin Davis was a physician and amateur archaeologist in Ohio in the mid-nineteenth century. He was born in 1811 in Chillicothe, Ohio. The American Indian ceremonial burial mounds around Chillicothe fascinated Davis. In 1835, he met Charles Whittlesey, an early Ohio archaeologist, who was researching the mounds near Newark, Ohio at that time. Over the next several decades, Davis continued to study various mounds throughout Ohio. In the late 1840s, he worked with Ephraim Squier. In 1851, the two men published their findings in Ancient Monuments of the Mississippi Valley. This was the first book ever published by the Smithsonian Institution. Many people consider Davis and Squier to be among the first great archaeologists of North America even though both men were self-taught. 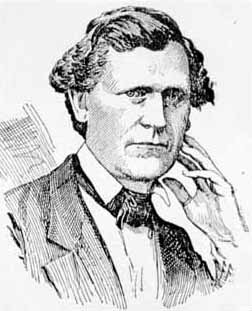 Edwin Davis died in 1888.